How Far is Modi Emerald Park Phase 1? 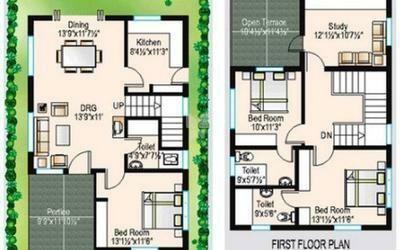 Emerald Park Annexe is a homes project with state of the art amenities and recreational facilities. The project consists of about 350 premium houses with specifications to be developed in 3 phases. Located near Pocharam, one of the most serene residential areas in the city, Emerald Park is an ideal choice for those looking for a clean and pollution free neighbourhood. The venture is located at a short distance from Uppal and is close to the newly developed Singapore Township (Sanskruti) and the upcoming Raheja Infotech Park. The area is accessible by a 6-lane highway from Uppal and is located on the MMTS circuit. Powder coated aluminium windows with Mosquito Mesh and Grills. Welcome to Modi Builders, a leading construction companies in the twin cities of Hyderabad and Secunderabad. The firm has over thirty five years of experience in the building industry, having built several buildings since inception. Given the immense scope in the housing industry in India, the company has been focusing on promoting a series of large residential townships in several areas in the city. All the ventures promoted by the firm so far have been highly successful. The firm is currently carrying out extensive construction activity at various locations in and around Hyderabad. 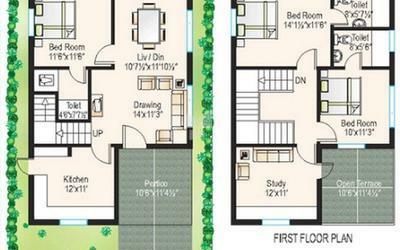 The company has residential projects to the tune of about Rs. 4000 crore on hand and is actively negotiating several new projects. Our Company plans to have about 20 million sft of construction with a total value of Rs.5000 crore in the next few months.